It’s been a long time since I’ve been on a first date but I do remember how nervous I would get before each one. Not having enough to talk about was always at the top of my list for items to be nervous about. What if we didn’t have anything in common? What if there are awkward silences? What if my mind went blank and I couldn’t think of anything to say? Most of the dates usually went well…not that they were a perfect match for me but the awkwardness was kept to a minimum! If running out of things to talk about makes you nervous as well, you’re going to want to review this list. Yes, we’ve made this into free printable cards too so you can hide one in your pocket in case you need to review it when your date goes to the bathroom. Ha! It’s always good to be prepared, right? Your conversation starters for a first date don’t have to be deep questions – try to keep things light and you may be surprised at what you have in common. Does he have any hobbies? You may discover that you share a similar interest or perhaps you have knowledge about something that is of interest to him. Where did he grow up? If you both grew up in the same city, perhaps you know someone who used to live in his area that he may know as well. If he grew up in a different city, is it a place that you’ve ever visited? Does he have a favorite sport or a favorite sports team? Have you ever attended one of these sporting events? Have you ever tried this sport? Do you have a sibling that also plays this sport? Does he like to travel? If so, you could ask him about the most memorable trip he’s ever been on. Where have you traveled that you’d like to tell him about? Where would he like to travel in the future? If you share a love for travel, this could lead to many conversations starters for a first date. Does he have a favorite movie? Have you seen this movie as well? If so, what did you think about it? Have you seen something similar that you can recommend to him? Does he have a favorite singer or musical group? Have you ever seen this person in concert? Do you enjoy any of this singer’s songs? What is the best concert he’s ever attended? Tell him about the best concert you’ve ever attended or perhaps who you’d love to see in concert. If you share similar tastes in music, this could lead to many more conversation starters for a first date. What is his favorite restaurant in the city? Have you ever tried this place before? If you have a second date, perhaps you could suggest this restaurant. What was his first job? Do you know anyone that used to work there? What is his dream job? Do you know anyone that currently works in that field? What is the most daring adventure he has ever tried? Have you ever tried anything like bungee jumping or sky diving? Sharing stories about some of your adventures are great conversation starters for a first date. Does he stay in contact with any of his childhood friends? Tell him about why you’re so glad to have some of your closest friends. Does his family live close by? Does yours? You can share a little bit of information about each of your families. Does he have any pets? How long has he had these pets? Do you have any pets? Perhaps you had a similar family pet growing up. Your conversations starters for a first date should never include anything too personal like the history of past relationships. Nothing will scare a date off faster than discussing your failed relationships of the past! Also, try to avoid getting into deep details like what you want in a partner. A first date is meant to be filled with light conversation to get to know each other better and to see if this is someone you’d like to spend more time with. While on your date, try to remember that he’s probably nervous too. Just try to relax and enjoy getting to know each other better. Even if there isn’t a romantic spark, you could be making a new friend. 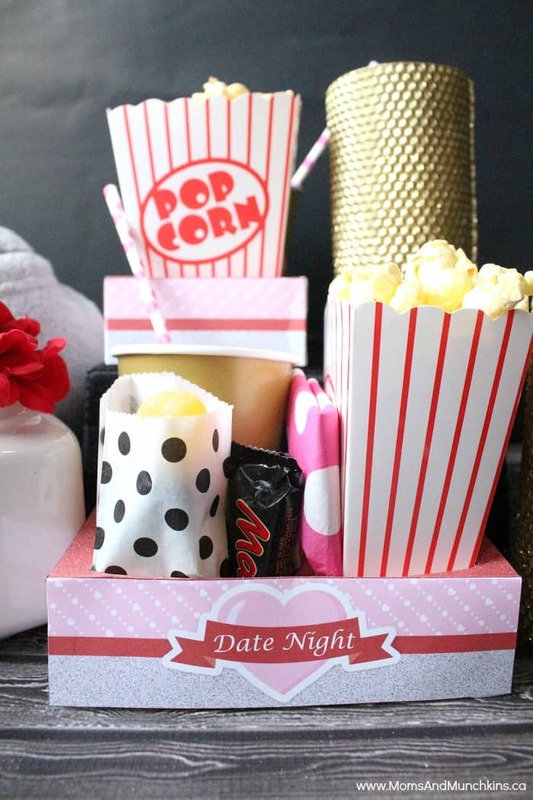 Once you’ve made a connection, check out our Date Ideas page for even more fun date ideas and free printables! When is the last time you were on a first date?